If you are a buyer looking for your next dream home, undoubtedly you have encountered the infamous multiple offer situation so many buyers have been facing for the past 12 months or longer. Not enough inventory has pushed up demand and prices in markets like Phoenix, which is welcome news for sellers that lost value in the economic downturn. 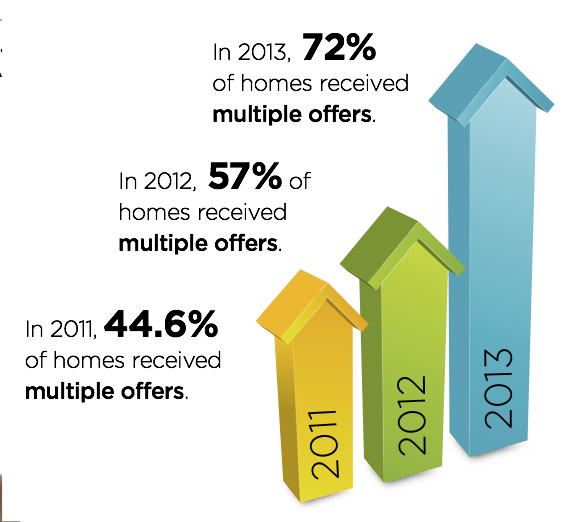 But did you know that actually 72% of sellers had multiple offers received on their home? That is a whopping 3/4 of all offers last year! How can you make sure your offer is the one that is accepted if you are a buyer? What can you do to make sure as a seller you are getting the best offers for your home? That’s where we come in. My team and I have over 30 years of experience in the mortgage and real estate field and we help people each and every day just like you. So for a truly professional, remarkable, and exceptional experience, contact me today to get started. Thinking retirement? The best place to retire isn’t Florida….